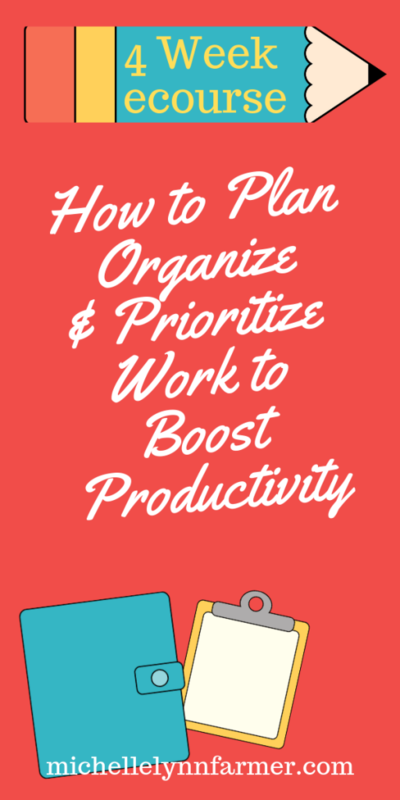 Want to work less but get more done? Working less while getting more done isn’t easy, especially, if you have a heavy daily schedule. But it is possible. 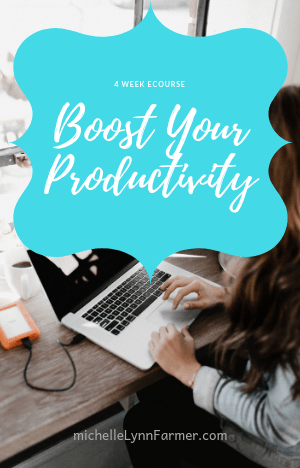 You don’t need expensive software, special tools or time-intensive methods to boost your productivity. You just need some planning, creative thinking and a determination to stick to your new plan. 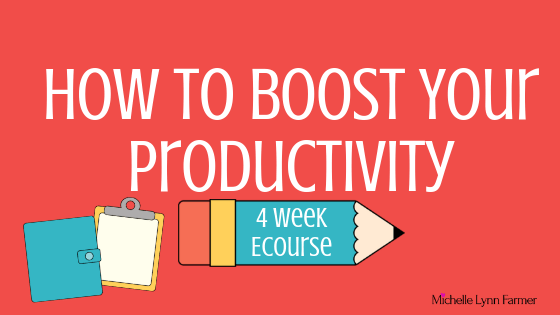 Sign up now to start your 4-week course on getting more done in less time. How to identify bad habits that are interfering with your productivity – and how to fix them. How to create a schedule that gives you more time to achieve your goals. How to build a support team, at work or home, and how to ask for help. 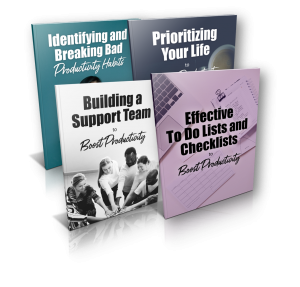 How to create effective checklists and manage your to-do lists. 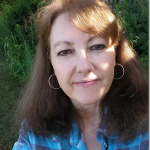 Your privacy is protected and your email address will only be used by MichelleLynnFarmer.com to communicate with you about online business related subjects. You can cancel your subscription at any time. PS. This is NOT PLR. This is for Personal use only. Copyright 2019 © michellelynnfarmer.com. All Rights Reserved. PO Box7 Leopold, Indiana, Contact, Policies, Etc.